WHERE DO WE GET OUR BICYCLES? - Physical auctions, normally London based. 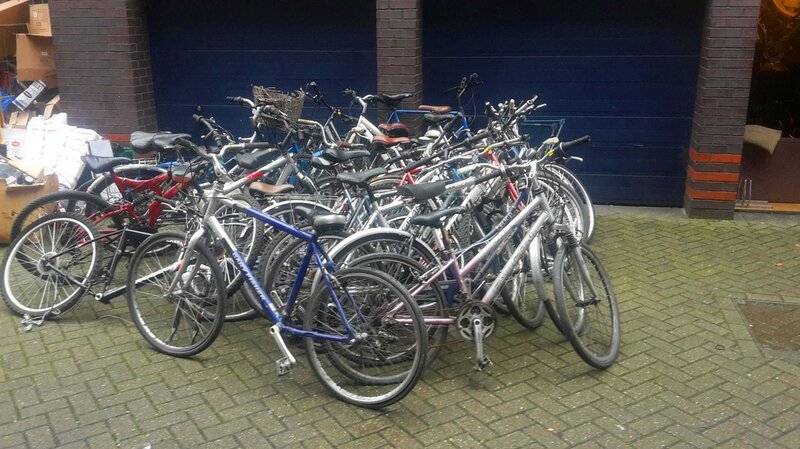 Often they are unreclaimed bicycles gathered by the police and put for auction at those sites. Here we got a bit of everything: good and bad condition, modern and old, etc. - Online selling sites: we always keep an eye on the internet to see if there is something nice in need of refurbishment. Sometimes we look for something specific as a request from a customer. - Charities: we have bought many bikes from charities. In 2016 we bought around 100 bikes from the charity "Streets of Growth" for instance. This is very nice as we know that our money goes to a good cause! - Part exchange: many customers trade their old bikes when they buy a bicycle at LEZ cycles. - Vintage fairs, bike jumbles, car boot sales: not very often, but sometimes we attend those events looking for hidden gems. - Donations: a few bikes a year are donated to us. Normally they are really broken and we hardly make any profit with them, but we love the gesture anyway! Very much appreciated. - Imports: we have been for a few years in the trade and we have very nice contacts in France, Spain, etc... who bring us lovely European bicycles, mostly French. - We buy bikes for cash. Not very often though: it is a very small part of the total number of bikes we get from other sources. Joblot of around 40 bikes purchased from a charity. We always have to hire a truck when collecting large joblots. 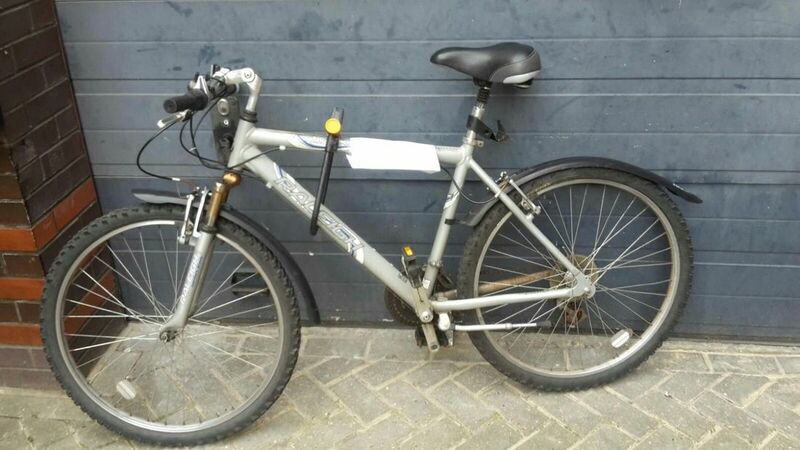 This bike was left in the entrance of the shop as a donation, lock included. Nice explicative note attached too! We are well aware that bike thief is a problem and do our best to avoid stolen bikes. We check frame numbers and look on line for stolen bikes reports (specially in fancy modern bikes) to make sure that everything on sale is clean. When buying a bike for cash we ask for filling a form, personal details and receipt of purchase. We are proud to say that we have recovered a few bikes that were reported as stolen, and they have been returned to their owners.